Test Your Aim With Budapest Shooting! We all know that Budapest is the vibrant capital of Central Europe with a great deal to offer the visitor, from hot springs and stunning architecture to friendly and interesting locals, a buzzing nightlife and, of course, the Pubcrawl Budapest to show you the wild and diverse side of the Hungarian drinking culture. But Budapest also has some surprising and less well-known activities that can add some extra spice to a vacation in the city. 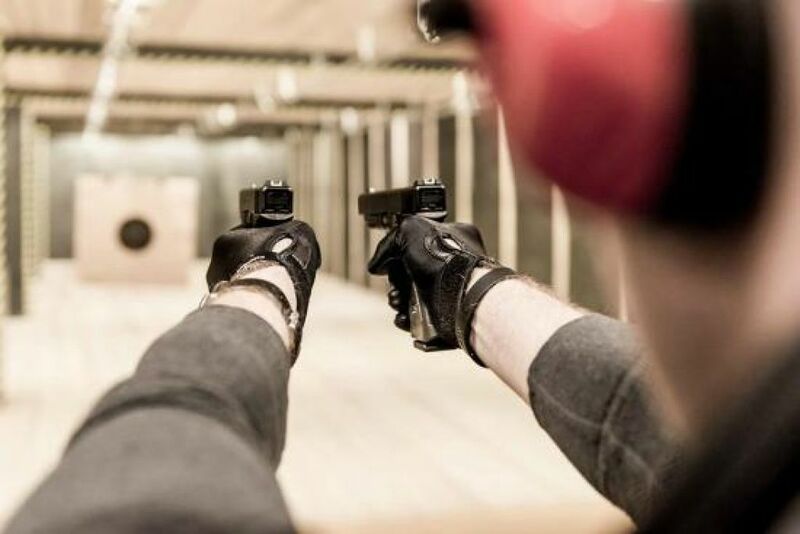 One item that you may add to your itinerary is Budapest Shooting, a new shooting range in Budapest that offers a range of packages to those of all levels of experience with weaponry. Whether you’re a first timer or an old hand with your firearms, the staff will be on hand to supervise and offer assistance accordingly. The packages begin at just €49 and include the use of guns including a Glock 17, an AK47 and a Scorpio EVO. For each package a different amount of ammunition is provided and the full range of guns is not given on every one. Each package also includes an English-speaking guide, a round of beer (for after the session), and a transfer top and from the shooting range. Naturally safety is of paramount importance, which is why the staff at Budapest Shooting are experienced safety specialists, and all of the necessary safety equipment is provided. All equipment is regularly maintained, and all standards of health and safety are met. If you’re planning a trip to Budapest for a stag or hen do, or perhaps just a fun vacation away in a new and exciting city, an experience at Budapest Shooting could be just the excursion to bring some sporting competitiveness to your break away from home, and a fun and challenging exercise to tell all your friends and family about. It can also be a great day activity to come before your foray into the manic depths of the Budapestian bar scene, where your adventure of the night could take any direction and still result in a crazy and enjoyable occasion to remember.